This week’s Quick Tips article is going to be truly “quick”. I will provide you with a link to an old article I wrote back in 2013 that I think still applies today. Just because it’s old doesn’t mean it no longer has substance. It will show you how to find out which is the fastest available DNS server in your location. 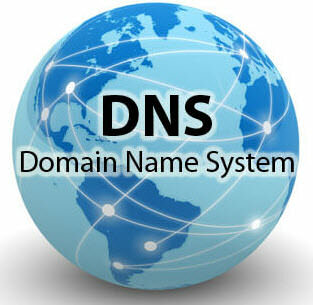 The article in question is “DNS – What Is It and How To Find The Best One For You“. Some of you might cry, “Foul!”, because I didn’t write an original article today, but my excuse is that I wanted to revisit this important DNS topic and didn’t want to reinvent the wheel along the way. I see no advantage in duplicating a perfectly good article that still has substance a few years later. Besides, it has the makings for a perfect Quick Tip! Your IP (Internet Protocol) address is like the address to your home. It let’s everyone know where you are “calling” from. It also lets everybody know a lot more than that, too, including, but not limited to: advertisers, web sites you visit, where you’ve been and where you’re going. The list is very long, indeed. If you would like to see how much information is passed along as you surf the World Wide Web, then visit IPLeak. They will provide you with not only the dastardly information, but will also offer a few tips on how to correct some of that “leaking” business. Note: Going forward, I will also be accepting off-topic questions within these Quick Tips articles. I hope to keep a record of them to learn what most interests our readers and to be able to create requested articles based on that response. Don’t be shy. Thanks again for your knowledge and time. I think the only way to get around the DNS exposing your information is to use a VPN service. Of course it is an added cost, but might be worth it for those who care about there privacy. Will most of these tips for windows 10 work with windows 8.1? Many will, and some don’t apply to 8.x. When I put these Quick Tips articles together, I only test them in Windows 10. and ignore other versions altogether. All I can say is try it in Windows 8.x and if it works, well then, OK. A major exception to this would be Registry hacks.